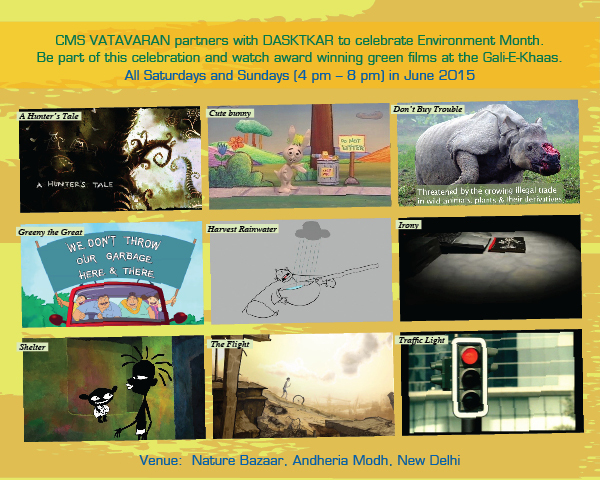 Dastkar is celebrating Environment Month in June at Gali-E-Khaas, Nature Bazaar. Every weekened (Friday, Saturday and Sunday), they will be organizing short events focusing on distinct nature friendly themes. Starting June 5th, which also is the World Environment Day, Galli-e-Khas will bring together artisans, craftsmen, organizations and nature enthusiasts in these weekly three day events. The Galli-e-Khas will have four themes every weekend- Green Gali, Grow Green, Green Living and Green Kitchen with a focus on home decoratives and textile products, organic farming, green lifestyle and organic food respectively. Based on these themes, stalls will be selling products, short events focusing on pottery, painting, organic farming, yoga, cooking and many more will be held.